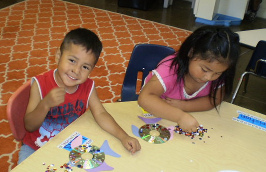 Established in 1920, Wesley Education Center for Children and Families is the oldest child care facility of its kind in the City of Cincinnati. Our educational philosophy is based on meeting the developmental needs of the whole child; educationally, emotionally, socially in a safe and healthy environment. We are committed to bringing a foundation for learning, to creating a loving and safe environment for our children, to fostering diversity and to working collaboratively. We offer infant and childcare, all in a Christian learning environment. We invite you to explore this site to more fully experience Wesley Education Center!